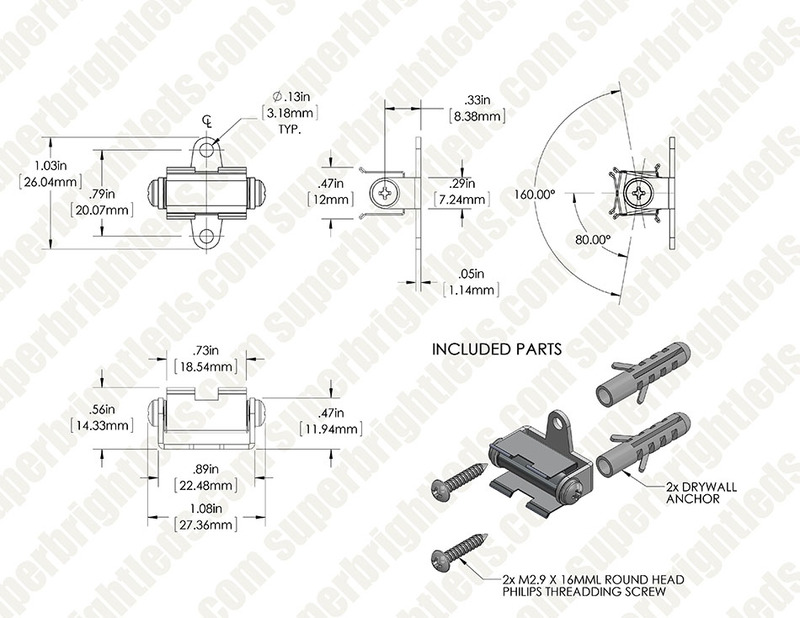 Set of aimable mounting clips with screws and wall anchors for WLFA2 series Waterproof Light Fixture. Aimable mounting clip can rotate 120 degrees on pivotal axis. 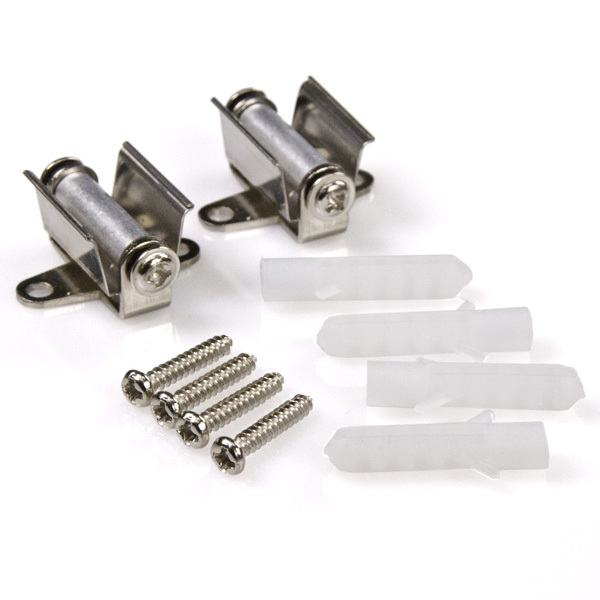 Set includes 2 mounting clips, 4 screws and 4 wall anchors. Mounting Clips - Buy Them! These well made, rotatable mounting clips allow for easy adjustment of the LED bars after mounting. Quality material, good price and quick shipment tells me that if you order the smaller, waterproof light bar then you SHOULD order the mounting clips. You will not be disappointed! The perfect method for mounting the LED light bars.